My sister-in-law came into town and brought with her this adorable Halloween Oreo stuffed Witch Boot! 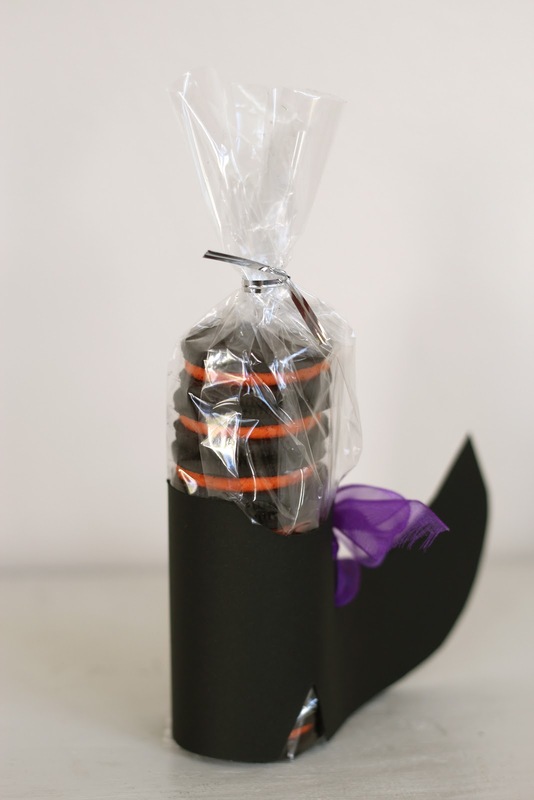 Isn't it just perfect for a Halloween treat for friend and family?! Some people are just so crafty, I had to share. 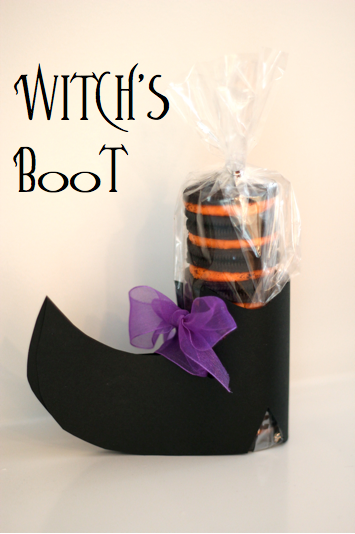 Just cut out a witch's boot from a sheet of black card stock, (sorry I don't have the pattern, but maybe you all are crafty enough to just whip it up) hole punch four holes for the purple ribbon shoe lace, and stuff it with a bag of Halloween Oreos. We fit 8 Oreo's in each boot. Here is a picture of the back. The boot is made from just one piece of paper wrapped around the Oreos.